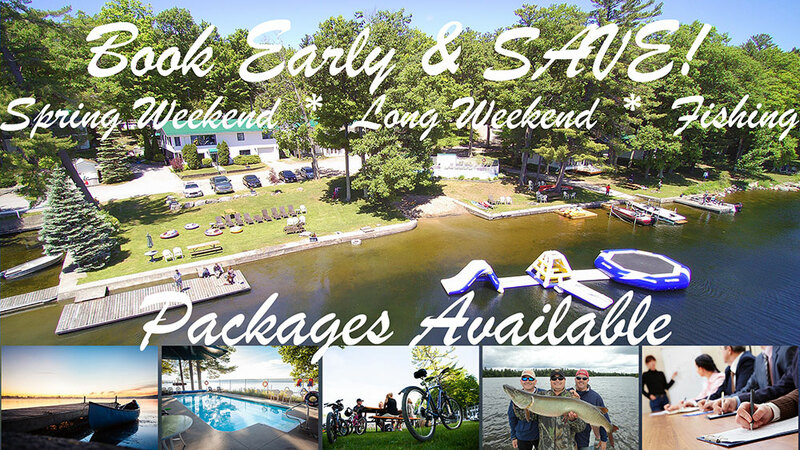 Just 20 minutes north of Peterborough, Ontario, within 2 hours of Toronto Pearson International Airport and 30 minutes from Peterborough Airport, Beachwood Resort is the perfect place for your next vacation! Dining – Frederick’s at Beachwood – is an experience all on it’s own. Enjoy fine country cuisine while taking in the panoramic view of Lower Buckhorn Lake. Let Chef Michael Henson cook for you. We have flexible plans with meals and lodgings included. Or dine for a special occasion, enjoying the food, the atmosphere and the view. We cater to all hungry people, resort and non-resort guests alike. We treat people the way we would like to be treated! With so many Ontario resorts to choose from, the trick is knowing which one to choose. We know your vacation time is important and your money even more . Spend your valuable time at Beachwood. We encourage you to see what we are all about. Give us a try, you will love what you find!